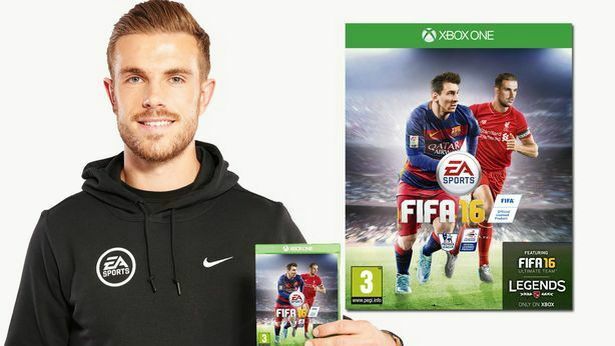 EA Sports has confirmed that theFIFA 16cover will feature Liverpool's Jordan Henderson in the UK alongside Barcelona's Lionel Messi. Lionel Messi was always going to have the number one spot, but the coveted second place has been up for grabs in recent weeks. For the very first time in the history of the video game, EA let the fans decide who they want on the cover via a public vote. And it was Henderson who came out on top. The Liverpool midfielder beat Manchester City's Sergio Aguero, Tottenham Hotspurs striker Harry Kane and Chelsea goalkeeper Thibaut Courtois to the honour. This marks the first time a Liverpool player has ever been on a FIFA game cover. And for Henderson it's a double achievement. This week, he also found out that he's Liverpool's new captain. Needless to say, the England international is one happy chappy. “Being part of the first FIFA cover vote was an incredible honour and it's an amazing feeling to know that the public voted for me to come out on top and to be on the cover of FIFA 16 alongside Messi,” said Henderson. FIFA 16 is set to bring big changes, with EA having already announced that it will be the first game in the series to feature female players. Question is – what new features would you like to see? Let us know in the comments or at the T3 Facebook page.